PERTH'S psychedelic revelers Tame Impala are getting ready to hit the road again. With their sophomore album Lonerism due out in October, the funkadelic four-piece will start things off at this month's Splendour in the Grass before playing the Parklife festival as well as overseas jaunts to North and South America and Europe. But for introverted front man and songwriter Kevin Parker, going on the road can be quite a daunting affair. The success of the band's self-titled EP and debut album Innerspeaker and the subsequent touring didn't exactly turn Parker into a social butterfly. "We were touring so much and doing all these gigs and going to places with people. It reminded me of when I was a kid trying to be social and trying to be a people person and realising that I'm not," Parker said. "The last years of touring and me being a people person is just something that's not in my blood. All these like cool parties just make me realise I'm just a total outcast. I just can't really talk to anyone without feeling stupid." But being on the road is not all-out torture for Parker. He has highs and lows just like any other musician. "Sometimes I feel like I can just float around everywhere with my close friends, like I can just do that forever because we are so self-contained doing our own thing in our spaceship," he said. "And then sometimes I just want to run home and never come out of my bedroom again." Of course, holing up in his bedroom did help Parker create Tame Impala's trademark neo-psychedelic soundscapes. The band's five and six-minute tracks hypnotise listeners with dream-like melodies. Lonerism, penned almost entirely by Parker, deals with his wallflower view of the world. "For me it's like the last album (Innerspeaker) was singing about someone who's already blissfully in oblivion, so I was already there," he said. "Whereas this album is like the child version of that, someone growing up and discovering other people and just realising their place is not involved with the rest of the world kind of thing. Like discovering that you're a loner." The band dropped Apocalypse Dreams, the first track from Lonerism, today. It's the first song Parker has ever co-written, with his band mate Jay Watson, and hedescribes it as "Motown in space". He told The Guide the next single to be released from the album will be Elephant. "Elephant is kind of like the most glammy T-Rex that Tame Impala will ever get," he said. "It's the most up-tempo David Bowie that we will ever be." But don't expect to hear any of the other songs off the new album at Splendour. "We generally make an effort not to play new songs before people have heard the recorded version, purely because we spend so long working on these songs in the studio and making them perfect," Parker said. "You have people recording it on their mobile phones and putting it on the internet. If that was going to be the first way that people heard it then it would be, for me, not as amazing as hearing that song in all its recorded glory." 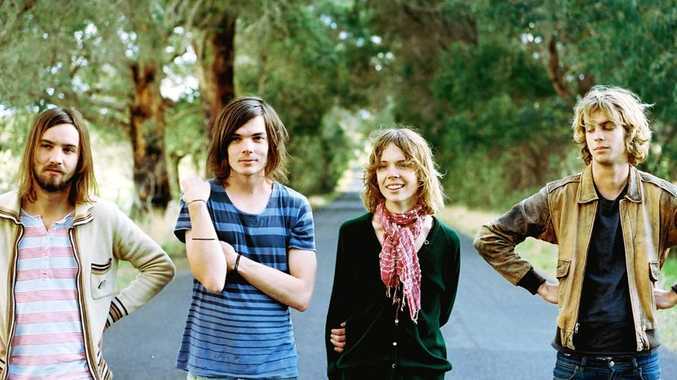 Tame Impala play Splendour in the Grass at Belongil Fields, Byron Bay on Saturday July 28. For more information go to www.splendourinthegrass.com.